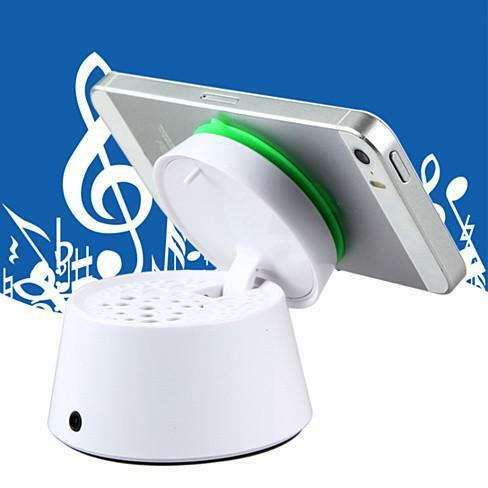 Smart Phone Quick portable stand with speaker. 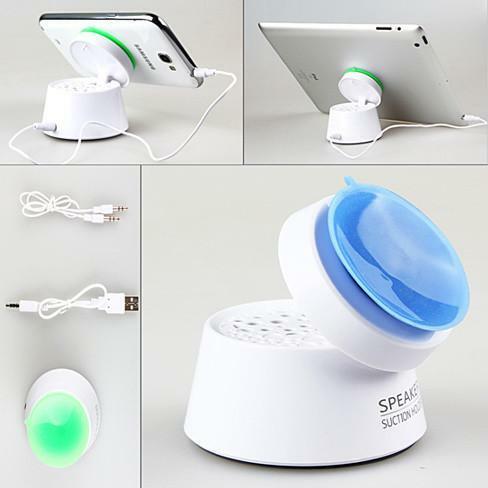 Use the stand to hold the phone its powerful suction cup will display and tilt it to any angle to view the phone hands free or while lying down. 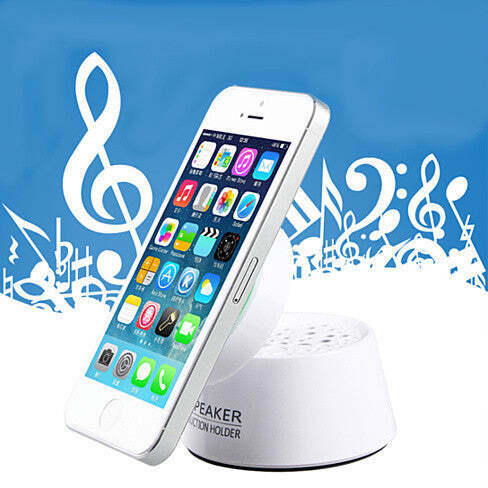 It’s built in speaker give you extra boost to the sound that can be hear in the entire room. The stand then folds up to carry it anywhere and sets up quickly. 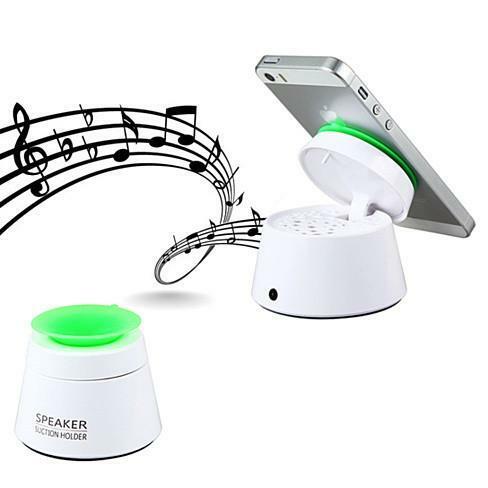 It has a 3.5mm audio jack that connects to your phone / tablet to hear the music. Runs on 2 AA batteries (not included) and can also be used with variety of other gadgets as speaker.It comes in Blue/White & Green /White Included are 3.5mm adapter cable and USB to 3.5 mm cable.